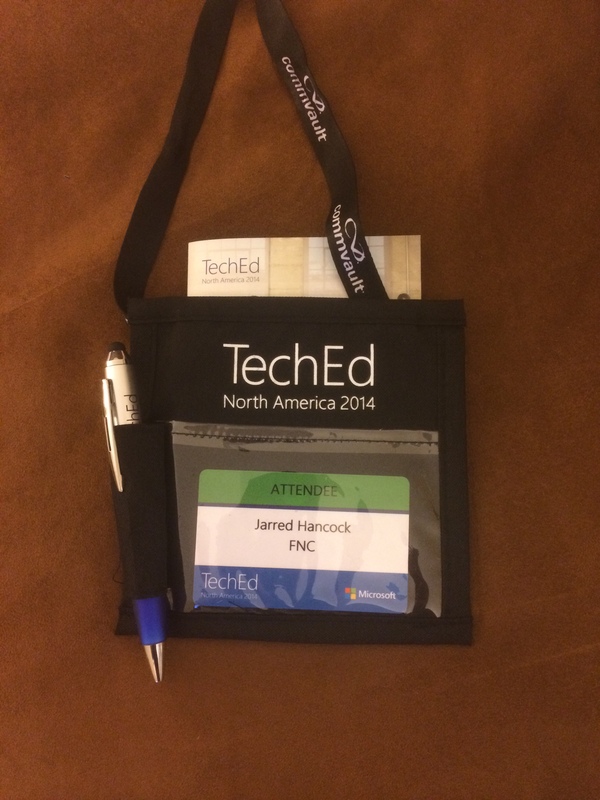 In May, I attended Microsoft’s TechED conference in Houston, Tex. This was my first time attending a tech conference, and since I had no point of reference, I had pretty high expectations of being taught how to solve every problem an IT professional like me will ever face. What I ended up returning to FNC with is an overall fresh outlook on IT, new problem solving methodologies, and innovative ways to manage business processes and enable users. First off, if you happened to catch the keynote, or if you have read an article written by an attendee from this year, there’s a good chance that you heard the word “cloud” mentioned a time or two. In fact, when I first arrived I thought I may have accidentallly stumbled upon a meteorologist convention with all of the cloud talk buzzing around the convention center. If you ask a handful of IT professionals about their opinion regarding cloud computing, you will likely get a handful of different answers. Some are afraid that the cloud will eventually replace the need for their skill set. Others are intrigued with the availability and scalability the cloud offers. The rest are mostly indifferent because for many IT pros this isn’t a new thing. SaaS businesses have been providing cloud services for years. From an IT perspective, however, moving all services to the cloud isn’t so simple. Cost, security, and feasibility are just a few reasons why IT departments aren’t necessarily going to be quick to dump their huge investments in on-prem solutions to jump to the clouds. Regardless, as mentioned in the keynote, don’t be afraid of it (the cloud), just jump on because the ride is fun. While I was at the conference, I was exposed to a plethora of new technology and awesome services – enough to make an admin want to redesign every IT solution in the company (also enough to make a purchasing department cry). I work with services that help manage daily processes and increase employee productivity and I spent a lot of time at TechEd learning about new ways to improve our current practices. I was able to pick up new tips on everything from how to ensure my Exchange environment “never” goes down, to how to best troubleshoot Lync issues. I’m excited to start implementing some of these new techniques into my daily practices. Overall, the conference was a great experience. I learned pretty quickly that if I wanted to get the most out of my time, I needed to get away from the broad overview sessions and sales-heavy breakouts and find deep dive sessions and technical breakdowns. Here are a few of my favorite sessions that I feel like I was able to get the most information out of.